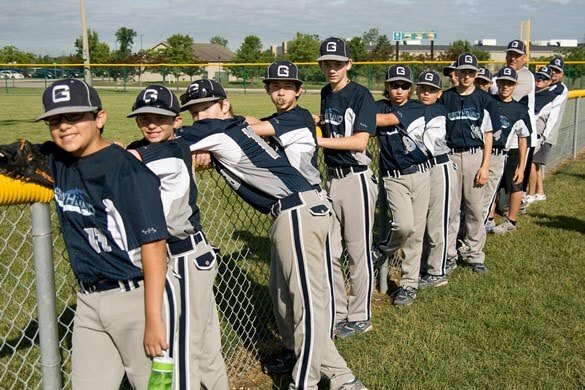 The Greyhounds traveled to Canton, MI this past weekend for the USSSA AA State Tournament. The tournament hosted 26 teams in the 12u division, with games being played from 8am to 1am due to rain on Friday afternoon and evening. The Greyhounds earned the top seed in pool play going 3-0, and only allowing 4 runs against. The #1 seed put us up against the Grand Rapids Flames who earned the #8 seed, and was a tough opponent in pool play on Friday evening. The Greyhounds came out strong for the quarter final game, and ended the game in the fourth inning 13-1. The semi final game was against the West Oakland Wings 11u major team playing up in the state tournament. The Wings were a tough team who battled run for run across 6 innings, but just didn't have enough in the tank to beat the Greyhounds. The championship game was against TC Legends, who the Greyhounds beat earlier in the year 5-0 in their hometown tournament. The Legends jumped to an early lead and had the Greyhounds fighting to keep the game alive in the 4th inning 12-2. The Greyhounds came back in the 5th inning with 11 runs and took the lead, but the Legends battled back in the 6th inning to tie the game, forcing extra innings. The legends earned a run in the 7th inning and won the game 18-17. Hats off to the TC Legends coaching staff and players for a job well done this weekend! The 12u Greyhounds continue to improve going 5-1 this weekend, and showing they have heart and the ability to come back as a team. The coaching staff is very proud of how the boys carried themselves this weekend both on and off the field, and look forward to our next tournament at Grand Park in Indianapolis, Indiana.